Citroen Multicity Carsharing is shutting down its carsharing service in Berlin after struggling to compete against rival carsharing companies, according to a report by Fox News. 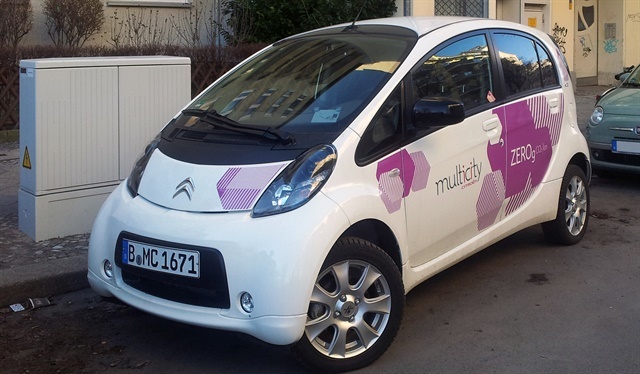 Started in 2012, Citroen Multicity Carsharing initially offered electric-only vehicles in Berlin and later added gasoline vehicles to its service, says the report. The service plans to end its Berlin service on Oct. 29. The carsharing program couldn’t compete against carsharing rival companies DriveNow and car2go, owned by BMW and Daimler, respectively, according to the report. Click here for the full Fox News report.